In this episode I talk about how to design the top hull to be unique from a standard Chimera, creating a sealed hull with air vents/filters, similar to other Krieg tanks. Love the top hatch, where did you get one? 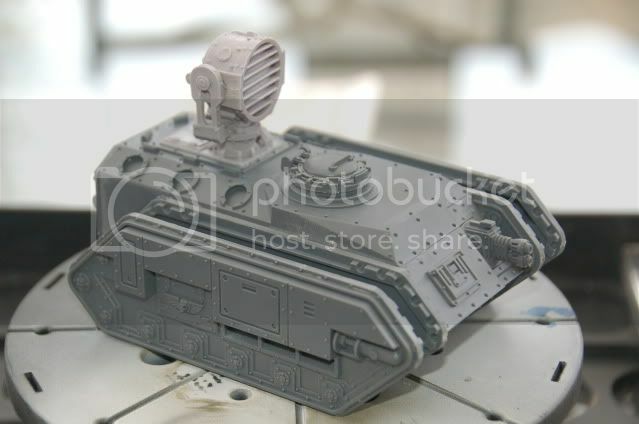 Doing my storm chimera conversion and it looks so good. The top part is a combination of the two parts, the base is from FW’s Seachlight kit, sadly it’s now out of production. I found a photo of it online however. Instead of the light though, i’ve topped it with a filter which came from the Krieg Superheavy upgrade kit, again out of production. I’ve seen good conversions where they’ve just cut the superheavy filter base in half and used that, which probably looks better as the filter sinks into the hull, which is how it appears on the Mars Alpha tank.